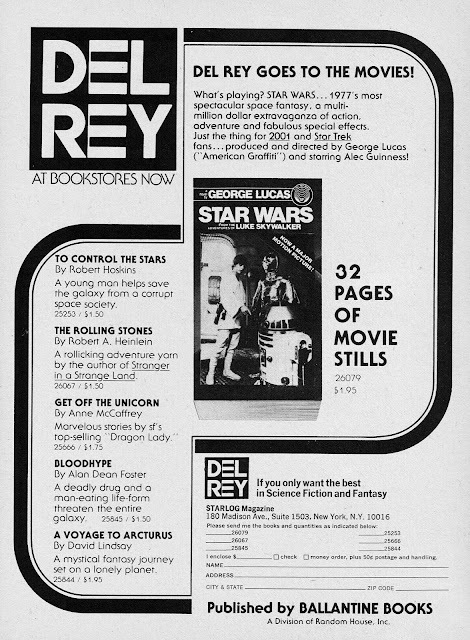 Here is an early plug for the STAR WARS NOVELISATION, published in STARLOG issue 7 (on sale in the summer of '77... the year everything changed). many thanks for all of this rare material. was that a mock-up or final cover for the novel ?